I feel like all families have a nickname for pajamas. Jammie's, PJs, hammers. But I've fallen into using P-Jams. It's like a rap name for pajamas. I made these last spring sometime. Finally a post about them. The top is a modified Archer. This was a mistake, because a stand collar isn't the best design for sleeping. It is adorable though. The shorts are a copy of some old navy shorts that were falling apart. They're not the most flattering, but they're insanely comfy. My cat was probably doing something funny. 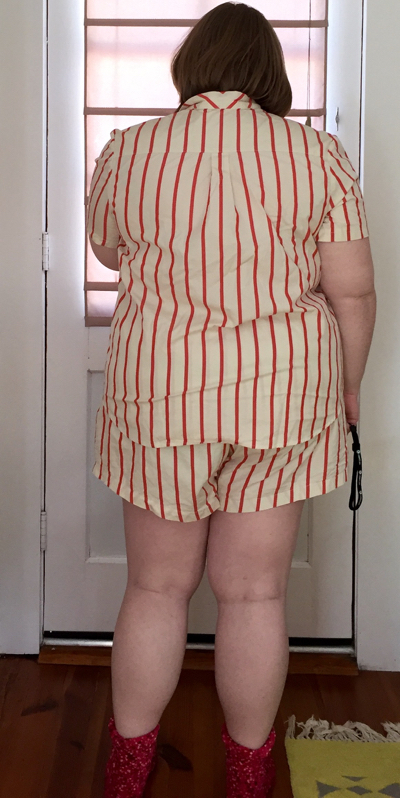 I didn't want to do horizontal stripes on the yoke here, but the pleat was perfectly placed to let me still match the stripes. This fabric was from mood, and originally intended to be a dress. But it wrinkles like crazy (as you can see), and it is so soft and cool that I just wanted to sleep in it. 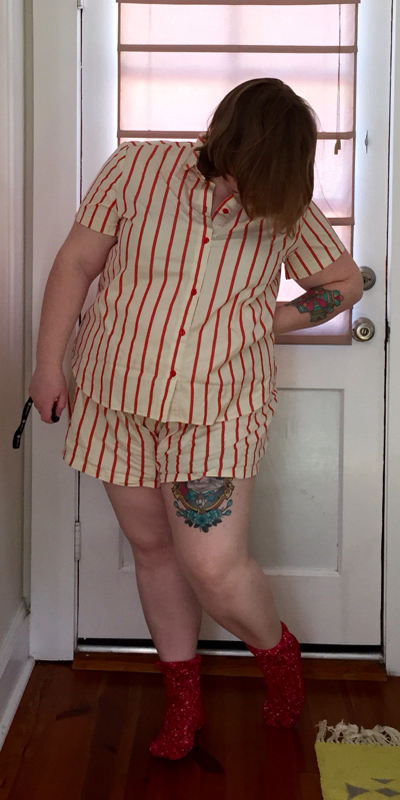 I have plans for a LOT more pajamas coming up. Mostly tank styles probably, but I might return to this style and try to find a good pattern for a classic pajama top.